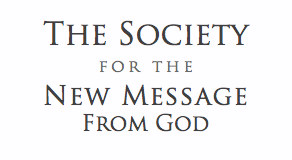 The Society for the New Message from God is a 501(c)(3) religious nonprofit organization whose mission is to preserve, protect and present the New Message from God in the world. The Society is not affiliated with any other religious body. It is financially supported by donations from the students of the New Message worldwide, receiving no sponsorship or revenue from any government or religious organization. The Society was founded in 1992 by the Messenger Marshall Vian Summers who saw the need for an organization and a dedicated core of people who could carry the mission of the Messenger both during and beyond his life, protecting the Revelation and maintaining its purity deep into the future. From that day to this, The Society has shared the burden of the Messenger, standing alongside him, witnessing the process of Revelation and undertaking the great task of bringing a New Revelation from God to humanity. The Society is comprised of ten Members and nine Core Assistants who have each chosen to respond to their own sense of calling to assist the Messenger and advance the emergence of the New Message in the world. In addition, The Society is assisted and supported by dedicated volunteers living in different countries and serving in many different capacities. 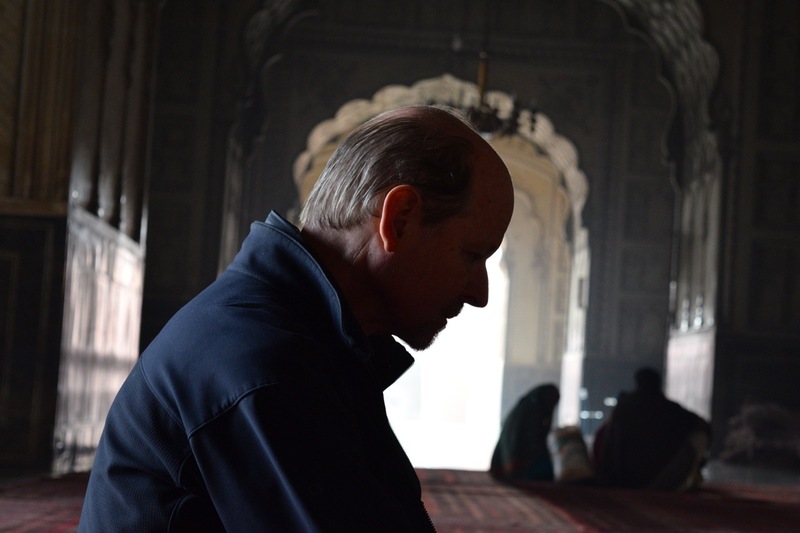 The Society follows the direct guidance of the leader of the New Message, Marshall Vian Summers. Assisting the leader of the New Message is the Director of The Society, Reed Summers, who coordinates the Management Team that oversees the departments of the organization. The Society’s mission is to bring the New Message from God into the world to people everywhere so that humanity can find its common ground, preserve the Earth, protect human freedom and advance human civilization as we stand at the threshold of great and unprecedented change. 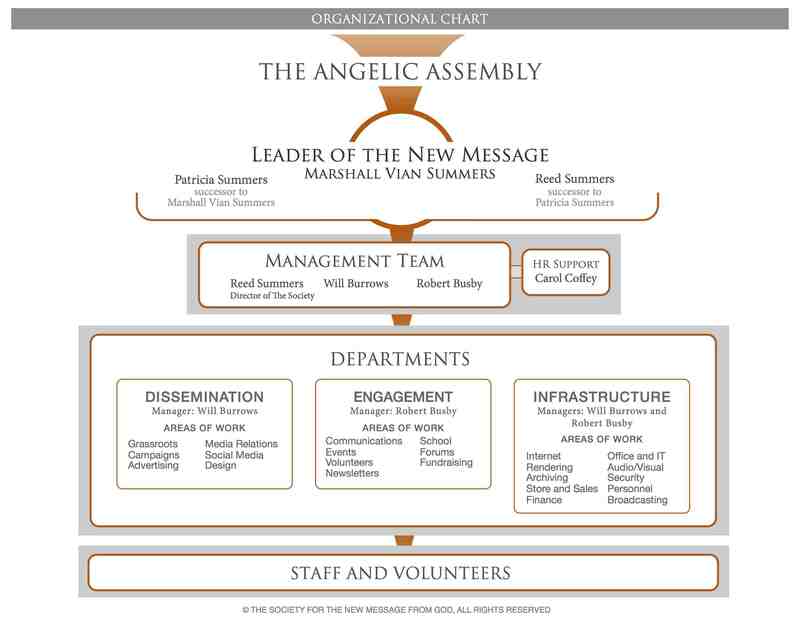 The work of The Society is dedicated to advancing the mission of the Message and the Messenger — a mission originally established by God and the Angelic Assembly. This mission is deeply connected to the evolution and destiny of our world and is a direct extension of a Divine Plan to serve our world at this critical time in human history. Since the beginning of time and the creation of the manifest universe, God and the Angelic Presence have advanced a mission to heal the Separation and redeem the separated through Knowledge, both in our world and throughout the Greater Community of intelligent life in the universe. The Society is dedicated to serving this greater mission and Plan of God. At this time, our primary work is to receive, preserve, protect and present God’s New Message in the world. We seek to do this through the publication of books, supporting the process of international translation, hosting websites, forums and many other online environments, providing education and engagement for The Worldwide Community through events, broadcasts, Encampments and The Free School of the New Message. By doing this, God’s calling and communication can reach the hearts of all people, awakening the power of Knowledge in the world so that people may discover their unique contribution at this time of escalating need, change and opportunity. Yet this is a responsibility that far exceeds what we can do alone. It requires the support and assistance of many people. 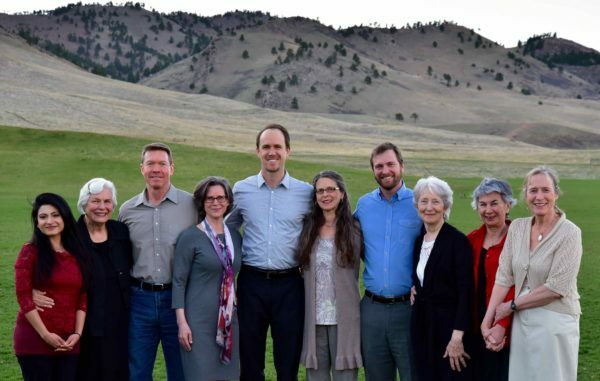 The books you hold in your hand, the website that informs and inspires you, the Greater Community Sanctuary which hosts the New Message events, the offices that maintain this organization are all a product of the giving of many people. And thanks to financial contributions, the doors are open to the Greater Community Sanctuary, The Free School of the New Message is open to all people free of charge and the volumes and books of the New Message are increasingly available free online. You, who may be among the first to receive and experience this New Message from God, can join others in making a real contribution to this vital mission. To bring God’s New Message to humanity in its pure form. To bring news of the Messenger and his presence in the world to people everywhere. To support the emergence of Knowledge in the lives of people everywhere through the education and pathway of development contained in the New Message. To advocate for humanity’s awareness and preparation for the Great Waves of change and humanity’s emergence into the Greater Community of intelligent life in the universe. To encourage unity and tolerance between the world’s religions as guided by God’s New Revelation for our time. To support and uphold the Messenger as he continues to receive God’s New Revelation for the world. To establish the Worldwide Community of the New Message to learn, live and support the New Message in alignment with the Messenger and The Society. To build a strong organizational platform to carry the New Message from God into the world and into the future. Establish the New Message spiritual awareness and tradition in the world. Reach millions of people worldwide with the New Message teachings and proclamation. Make the vast scope and depth of the New Message accessible through books, websites and translations. Present the Voice of Revelation to the world in its original audio form. Publish the world teachings of the Messenger in both audio and in written form. Establish the Messenger’s vision of the pathway of learning and living the New Message. Create the opportunity for people worldwide to engage with the revelation and with their own deeper nature and calling in life through the Free School of the New Message. Build organizational stability and resiliency to successfully meet world response to the New Message and its Proclamation. Marshall Vian Summers is the Messenger of the New Message from God. He was selected and prepared by the Angelic Assembly before this life to serve in this role as Messenger for the New Revelation and has now received the largest and most comprehensive revelation ever given to Humanity. Marshall is the founder of The Society, which he established in 1992 to preserve and present the New Message from God in the world. He is the current leader of the New Message from God and the Worldwide Community of the New Message. He will eventually be succeeded in his leadership role by his wife Patricia Summers. Today, the Messenger continues to receive the unfolding revelation of God’s New Message for these times and for the times to come. In addition, he is engaged in broadcasting his proclamation and core message to the world and also recording a vast legacy of teachings, directives and clarifications to assist students in learning and living the New Message. Finally, he is working on the historic project of compiling the entirety of an over 9000-page Revelation into a new testament for humanity. 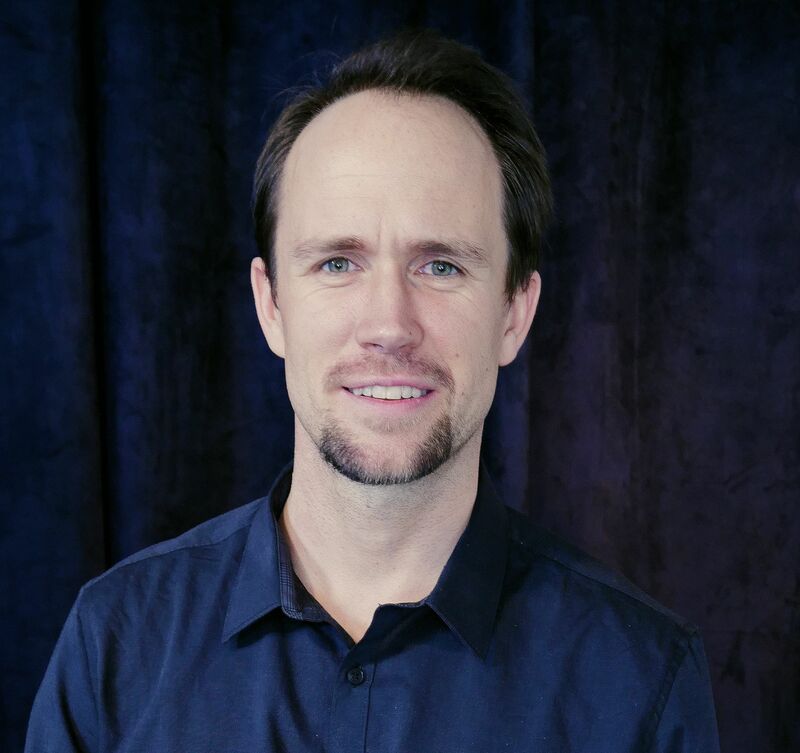 Born into the New Message tradition as the son of the Messenger, Reed Summers is a member of The Society and currently directs its overall outreach and educational mission. In addition, he provides teaching and direction for the Worldwide Community of students and is the primary public representative for the Messenger. Reed Summers joined the Messenger and The Society in 2004, at the age of 20. 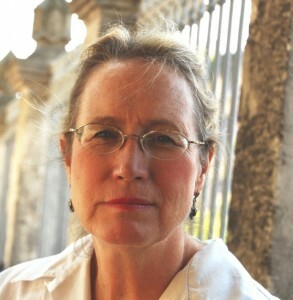 In the years since, he has been engaged in supporting the mission of the Messenger in a wide range of activities: designing the websites, book covers and outreach materials of the New Message; writing, speaking and teaching in the Free School of the New Message; coordinating the Messenger’s many journeys in the world; and, alongside Patricia Summers, developing the curriculum for the Free School of the New Message, as well as New Message broadcasts, Vigils, and Encampments. Patricia has been at Marshall’s side since 1983, nearly a decade before the existence of The Society. From the earliest days of Revelation, she closely assisted the Messenger in his long journey of receiving the New Message Revelation, staying at his side always, helping him to carry the growing weight of his responsibilities and role. Patricia is a member of The Society and for over three decades she has also helped to build the organization, guiding it through many challenges to be where it is now. Today she works with Reed Summers and the Messenger in directing The Society, rendering the books of Revelation and providing the world presentation of the New Message from God. In addition, she is one of the primary teachers of the New Message, offering essential wisdom, inspiration and direction for the Worldwide Community of students of the Revelation. Marshall Vian Summers and the members of The Society for The New Message from God have been given the immense responsibility of bringing the New Message into the world. For the ten Members of The Society, it is a burden and a blessing to commit themselves wholeheartedly in this great service to humanity. The Society are the stewards and guardians of the Divine Word and Sound of the New Message. They are entrusted with this role by the Source of the New Message—to protect, preserve and present this New Revelation and serve it wholeheartedly. Here they work to guard the purity of the New Message – its publications, texts, audio, video and public events. The Society are engaged in a wide range of practical responsibilities related to the mission of preserving and proclaiming the New Message and supporting the growth of the Worldwide Community of students. In this, they staff many of the core teams and projects of The Society, coordinating the work of the Core Assistants and Volunteers assisting the organization. The Society do not hold the position of religious counselors, mentors or teachers. They are not engaged in teaching the New Message or in establishing an interpretation of texts. Their role instead is to uphold the core work of the organization and support the Messenger and the teachers of the New Message in providing the educational pathway and inspiration for all who seek to learn and live the Revelation. Every Revelation given from the Creator throughout history has a story — the story of its delivery, the story of its Messenger and the story of the early community of individuals who gathered to support the Messenger and help bring forth God’s Revelation for the world. The story of God’s New Revelation is unfolding before us now, around the Messenger, around The Society — the small circle of individuals who have gathered to support him — and the growing Worldwide Community of students. It is a story with a humble beginning that continues to unfold. In 1992, having already been engaged in the process of Revelation for 10 years, the Messenger established the organization of The Society, even though at that time there were only a few individuals present with him to participate. In the years that followed, the current members of The Society would come to find the Revelation and eventually take up their place of service to it. Each of them has their own unique story. While living in different life situations, circumstances and places, they each encountered the Revelation or the Messenger and began to respond to an experience of recognition and a sense of calling, taking the first steps towards a life of service even though they did not know where those steps would lead or what it would mean. So they came, gaining the freedom to find their way, one by one, each facing challenges and adversity, but each knowing that they must come, that they must take up a position in service to this emerging Revelation and to the man receiving it. This would require that they develop greater inner and outer strength and stability, as they began to share the burden of the Messenger. Over their years of service, they have walked a difficult road with the Messenger, maintaining a deep devotion and commitment to him and to his mission, freeing him so he can do what only he can do, standing with him and being there for him, no matter what difficulties or challenges arose. Today they continue to respond to their sense of calling and responsibility, seeking to achieve a greater service, meeting even greater challenges, and having their lives and roles refined and redefined in serving this great mission. This is all so that the New Message from God may reach the world in the ever narrowing time available, providing wisdom and insight rarely ever seen in this world and calling forth Knowledge in the human family so that this spiritual power may emerge and guide humanity at these times of great need. Yet how can this small group of people possibly do this? How can they fulfill this mission? These are questions they live with. Now others are beginning to respond to their own sense of calling to assist The Society in this great undertaking. The Core Assistants and the many volunteers now assisting The Society are taking up vital roles and responsibilities that enable this mission to proceed on an ever-greater scale. The story of the early community of the Revelation continues to unfold as inspired individuals around the world respond to God’s New Revelation and take their place of service, both in the world and in direct support of the mission of the Message and the Messenger. The Core Assistants of The Society are a vital part of the mission of the New Message from God. Core Assistants are individuals who feel a personal sense of calling to serve and advance the mission of the Message and the Messenger and to help The Society undertake this mission in the world. They have made this a primary focus, strengthening their inner and outer lives sufficiently in order to hold and advance key areas of the Society’s work and to sustain this over time. This is a real demonstration of true service. There are presently thirteen Core Assistants in five countries assisting The Society. The Volunteers assisting the Society provide a critical service in advancing many aspects of The Society’s work and mission. Volunteers are students of the Worldwide Community residing around the world who are able to offer their time, skills and availability to fulfill specific tasks, staff projects and collaborate in the teams and departments of the organization. This form of service complements their studenthood and advocacy of the New Message in the world and is a vital support to the work and mission of the Society and the Messenger. There are presently over 84 volunteers in 28 countries assisting The Society. Donate to help bring the New Message into the World.